The side effects that follow a traumatic occasion or natural disaster can be more in children whether they experienced the disturbing event or were repetitively showing terrible media images after the incident. Although children and youngsters are more in danger to being traumatized as compared to adults, with the correct support and encouragement they are able to recover quicker. Suddenly losing dear ones or caught up by a natural disaster or facing a road accident, plane crash, or brutal attack can be overpoweringly traumatic for children. A disturbing event can destabilize their sense of safety, leaving them feeling unaided and defenceless, particularly if the event is an act of aggression, such as a physical beating, mass killing, or terrorist assault. Children can also become disturbed when frequently uncovered to horrifying images of the incident on the social media or news. 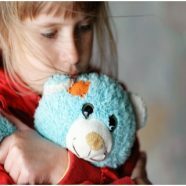 When to look for treatment for child’s trauma? if the disturbing anxiety reaction is so powerful and relentless that it is reaching in the way of your child’s capability to work at school or home, they may require help from a mental health expert, if possible a trauma specialist. Your child is having nightmares, flashbacks, or terrifying memories. Following are the treatments used to help children get out of the traumatic events. Trauma-Focused Cognitive Behavioural Therapy is a 16-20 session treatment for children. TF-CBT helps in treating children from 4 to 21 years and their caregivers who have faced a traumatic event and are experiencing constant symptoms linked to the exposure of trauma incident. It greatly supports in reducing signs of depression and Post-Traumatic Stress Disorder (PTSD) in children and their caregivers. Over time, during the course of treatment, the child builds up a trauma description that assist them tell their story in a secure and encouraging environment. Cognitive Behavioural Intervention for Trauma in Schools (CBITS) has been shown to trim down depression and PTSD symptoms in children who have faced trauma. Schools are gradually more viewed as significant surroundings for the release of emotional and behavioural health services. In reality, the most of the children with behavioural or emotional health do not receive services; amongst those who do, about 75% obtain services during their schools. Child and Family Traumatic Stress Intervention (CFTSI) is a 4-6 session for children aged between 7-18 in the days or weeks following a distressing incident or disclosure of a past traumatic occurrence. The purpose of CFTSI are to trim down traumatic anxiety symptoms, boost child and caregiver communication, offer skilfulness for the child to deal with trauma reaction, decrease external stressors on the child and consider the child’s requirement for longer-term treatment. MATCH-ADTC is a treatment designed for children ages between 7 to 15. Contrasting to most treatment that focus on particular disorders, MATCH is intended for multiple problems and disorders, including depression, anxiety and PTSD, with disruptive behaviour such as the inconvenience associated with ADHD (Attention Deficit Hyperactivity Disorder). TARGET is therapeutic and educational approach for the avoidance and treatment of PTSD. TARGET is based on a 7 step succession of skills – the FREEDOM Steps – that are planned to help adults and youth recognize and manage their reactions linked to trauma generated by present everyday life anxiety. The objective in TARGET is to facilitate adults and youth recognize their individual power via the FREEDOM Steps. TARGET authorizes and empowers PTSD trauma survivors to become extremely mindful and focused, to make excellent decisions, and to develop healthy relations. A behavioural problem-solving focus combined with acceptance-based strategies. Access to a therapist outside a clinical setting. DBT highlight balancing behavioural change, emotional regulation and problem-solving with mindfulness, validation and recognition of patients. Therapists follow a comprehensive technical guide.